Most people have never heard of the Owyhee Canyonlands, let alone pulled over to visit. On a map of Oregon, it’s that mostly blank expanse in the southeastern corner of the state near the Idaho/Nevada border—a place most would call nowhere. Rome, Burns and Jordan Valley are the nearest towns of any note. The Malheur National Wildlife Refuge—site of a recent 41-day showdown between a group of armed, anti-federalist “occupiers” and the federal government—is the most recognizable nearby landmark for those who follow the news. Out in this part of the world, the green flow of the Owyhee River is the main attraction. The river is named after Hawaiian trappers who headed downstream in the early 1800s never to be seen alive again. Rafters and kayakers who drive a hundred miles and more from Boise, Bend and points beyond can float its waters into a deep desert gorge to experience the solitude of a place so far removed from the glow of civilization, its black skies afford some of the best stargazing in the U.S.In most years, the river flows strong enough to float a boat for just a few months. The last four years, a lack of rain and snow rendered it too boney to float most boats at all. 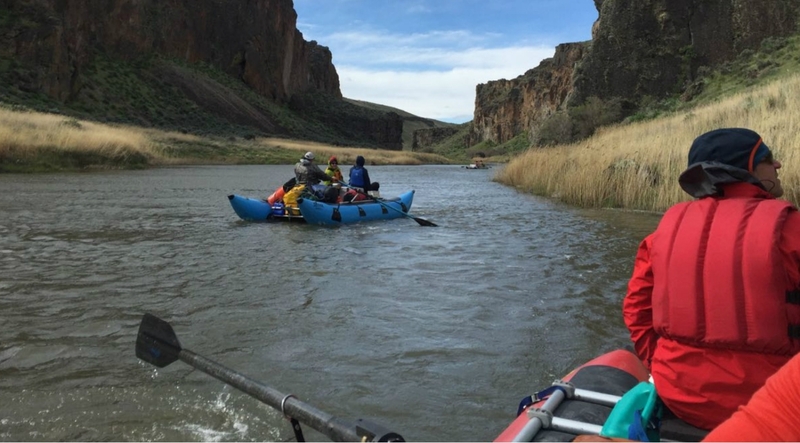 So when our party of 12 put four rafts in at the Rome launch site in late April to row 48 miles of the lower Owyhee to Birch Creek, pent-up demand had filled the parking lot with boaters also eager for a taste. Our group was out of Bend, though I’d driven up from southern California and another in our party had come down from Sandpoint, Idaho, to get a rare chance at the river. Trip leader Brent Fenty, executive director of the Oregon Natural Desert Association (ONDA), had put together our float, inviting a couple of his close friends, ONDA supporters and staff, and me—a Patagonia employee from the marketing department on a company-sponsored environmental internship aiming to do what I could to help ONDA and others working to keep the Owyhee wild. Brent was raised in eastern Oregon. 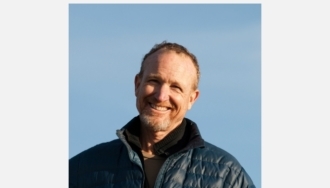 Highly knowledgeable and super passionate about the high desert, he makes regular visits to the Owyhee to float and camp, and spends more time than he would like in Washington, DC, advocating for its protection from mining and oil and gas development. Though the Owyhee has some of the best intact wildlife habitat in the Lower 48, its roughly 2.5 million acres are managed mostly by the BLM and lack any sort of safeguards, save Wild & Scenic River status along 120 miles of river. Brent and the crew at ONDA, along with a coalition of Oregonians from all over the state, have been working for years to protect the Owyhee. 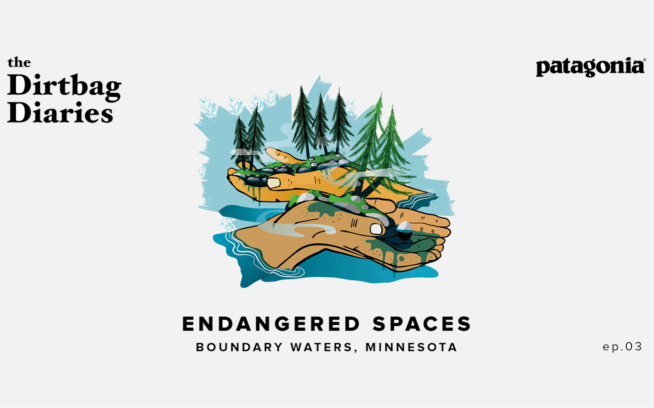 They’re hoping to permanently protect the area, either through an act of Congress or by the president. The river was flowing at 1,150 cubic feet per second when we put in, which was low—a level that required constant rowing in all but whitewater. 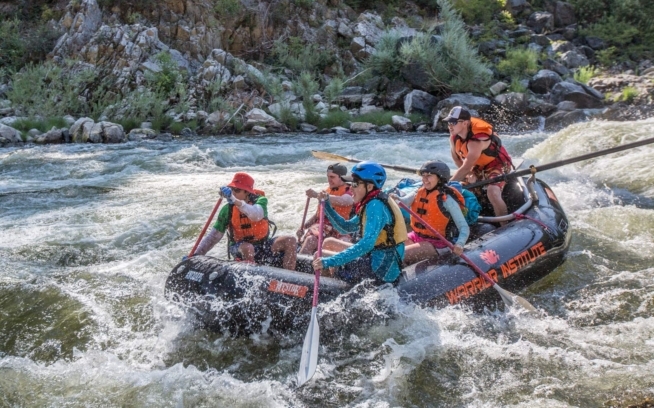 The first six miles wound lazily through farmland before its pace quickened as the flat landscape gave way to high canyon walls, steep side canyons and a couple of Class IV rapids. We stopped at Weeping Wall Springs to fill a couple of jugs before continuing downstream, camping on sand bars along the way. I was impressed by the river ethic we observed during our visit, leaving no trace whatsoever, right down to straining food and grease particles from dishwater and packing them out along with everything else. Our group was obsessive in that regard, but a pair of Oregon State Police Fish and Wildlife troopers, who dropped by our camp to check permits and camp conditions, also floated the river to enforce the ethic at all camps. Being early spring, the river canyon was full of flowering plants and animal life. Balsamroot’s bright yellow sunflowers contrasted beautifully with the green grass of the canyon slopes. There was also bright Indian paintbrush, phlox and desert mallow growing amid invasive cheatgrass. We soaked in one of the hot springs along the banks of the river, hiked to cultural sites adorned with ancient and unfathomable Native rock art and drifted by an old homesteader’s cabin. On a hike in Chalk Basin, we stopped for a moment to chat, unwittingly standing two feet from a rattlesnake that fortunately paid us no mind. We saw raptors, chukar and scores of noisy geese with their downy goslings. Bighorn sheep, renowned for their surefootedness on high cliff ledges, were harder to spot, though a couple of hunters in our party managed to pick some out. When we came upon a huge pair of horns and the decayed carcass of a big ram that appeared to have fallen to its death, my doubt as to their existence was removed. These were but a handful of some 200 species that eke out a living in the rugged Owyhee. The Owyhee’s volcanic and rhyolite cliffs towered a thousand feet in places making hikes to the canyon rim well earned. We marveled at the hoodoos, basalt pillars and apartment building-sized rocks that defied gravity on the steeps. Stuart Garrett, a retired doctor and amateur natural historian from Bend, ably answered our every question (some more than once), whether botanical, geological or anthropological. Having guides like Stu and Brent, who could point out the plant Native peoples used to make arrow shafts, and tell you roughly how long ago the lava flowed hot, greatly enriched our understanding and experience of the Owyhee. We lived well on the river, despite mostly cold, windy and erratic weather. 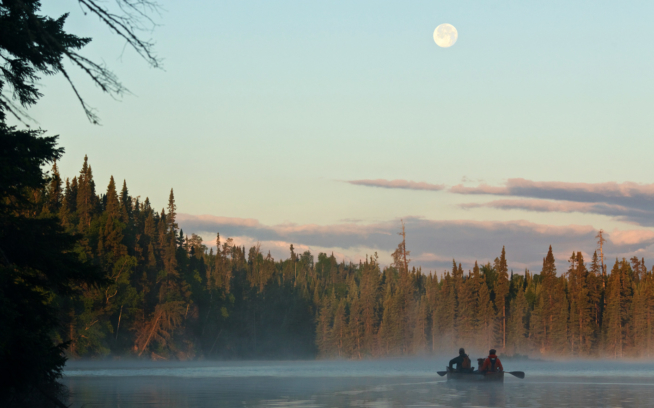 My prior rafting experience was limited to a couple of day trips, and I was happily surprised by all the things we could, and did, bring with us. The margarita maker stayed home, but ours was definitely not the single-burner austerity you’d experience on a backpacking trip. I count myself among the fortunate few who have experienced the Owyhee’s beauty and deep solitude. Visiting it by river, accompanied by such a wonderful group of people while on the company dime, made it even more delicious. But the importance of protecting this incredible place, and others like it, lies more in the Owyhee’s value to the wild and increasingly threatened species that depend on it, than it does to visitors like me who come to raft, camp and hunt. And, whether or not we stop to realize it, there’s also huge benefit for us as humans in simply knowing “nowhere” places like the Owyhee still exist, and if they’re protected, they can be wild forever.